Sahitya-Kaumudi is one of four Gaudiya Vaisnava books on poetical theory. It is books on poetical theory. It is based on Kavya-prakasa. 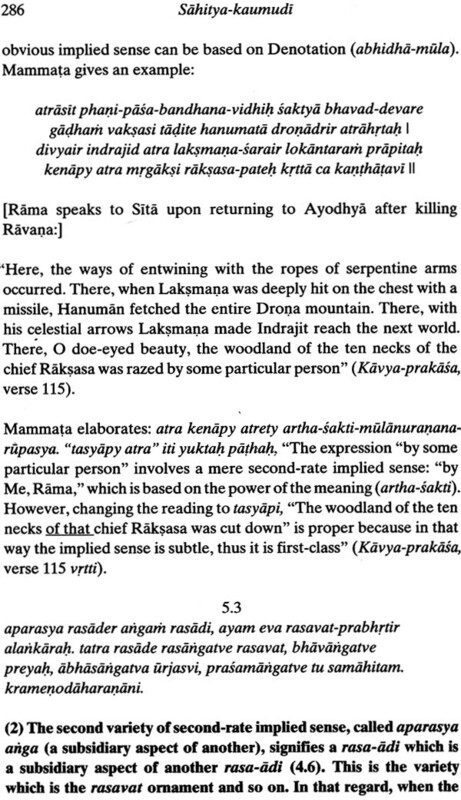 Mammata wrote kavya-prakasa in Kashmir in the second half of the eleventh century. Caitanya Mahaprabhu studied Kavya-prakasa. For instance, He recited the famous verse that begins yah kaumara-harah (that Person who stole my heart during my youth) (kavya-prakasa, verse 1) (padyavali 386). 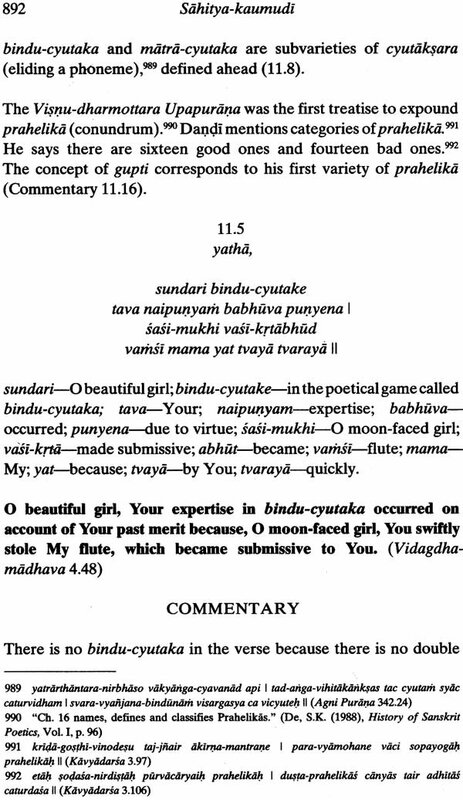 In response, Rupa Gosvami composed an outstanding verse, beginning priyah so yam (Caitanya-caritamrta, Antya 1.79). 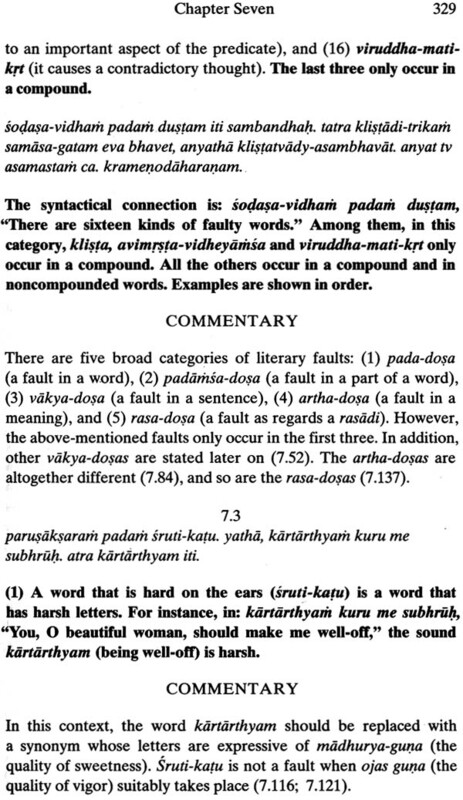 Baladeva Vidyabhusana's Sahitya-kaumudi covers all aspects of poetical theory except the topic of dramaturgy. 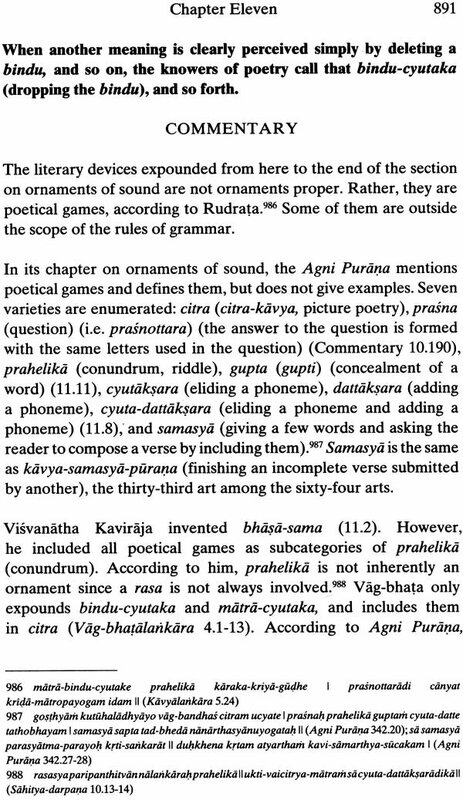 All the definitions of poetical concepts are taken from Mammata's kavya-prakasa, the most authoritative work on Sanskrit poetical rhetoric. 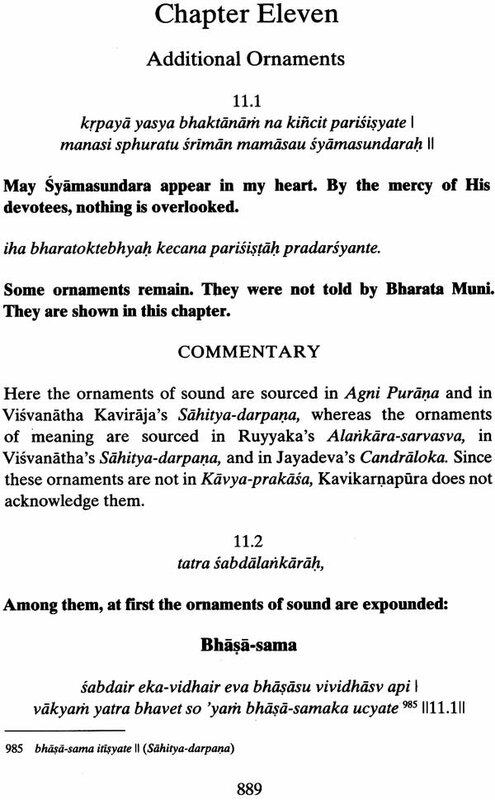 Baladeva Vidyabhusana added the eleventh chapter, where he expounds additional ornaments from Visvanatha kaviraja's Sahitya-darpana and from piyusa-varsa Jayadeva's Candraloka. The title sahitya-kaumudi literally means "moonlight on literature." In usage, a word which means "light" is used in the title of a book to signify that book sheds light on the said topic. The world sahitya means literature and is a synonym of kavya (poetry). Sometimes poetical rhetoricians use term alankara (lit. Ornament) as a synonym of kavya. 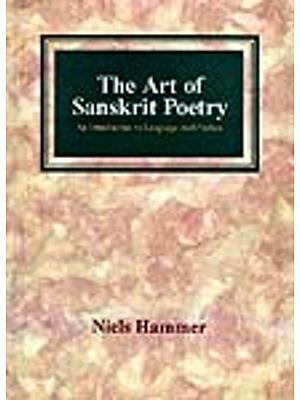 Thus Sanskrit poetics is technically called Alankara-sastra (the science of poetry), and a poetical rhetorician is called an Alankarika. 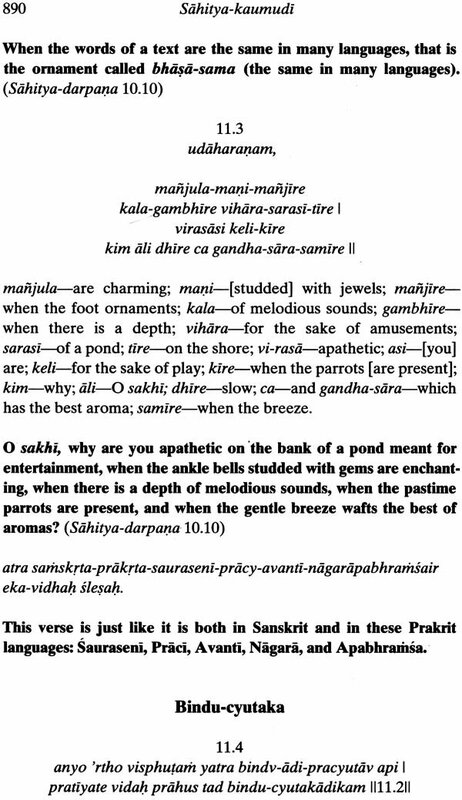 Sanskrit poetical rhetoric is an essential aspect of Vedic culture: Throughout Vedic texts, Philosophy is mixed with poetry. 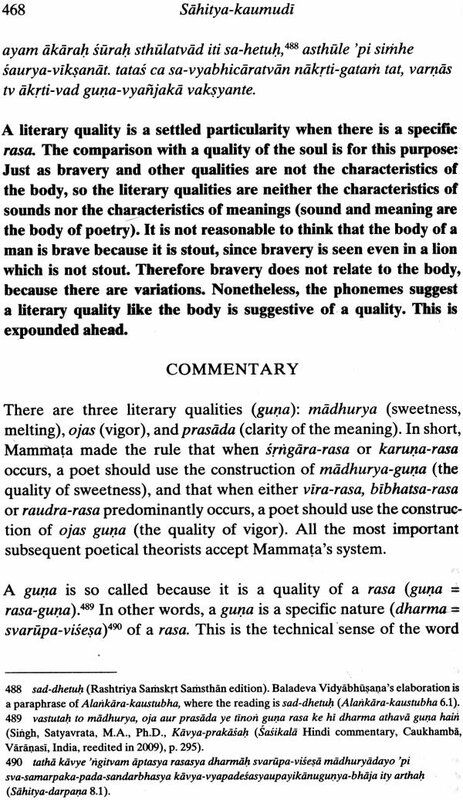 According to Bharata Muni, dramaturgy arose from an aspect of Vedanga (auxiliary Vedic scriptures). 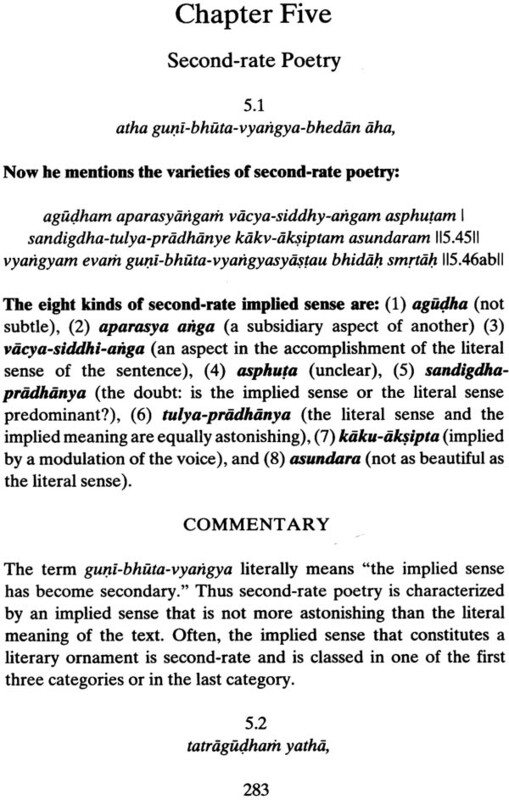 Rajasekhara says the knowledge of poetics forms a seventh Vedanga. 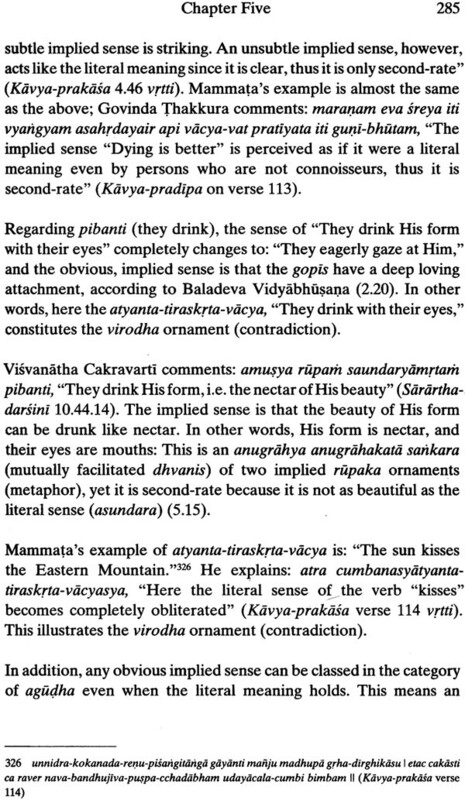 In his opinion, the science of kavya is necessary to correctly interpret Vedic texts. 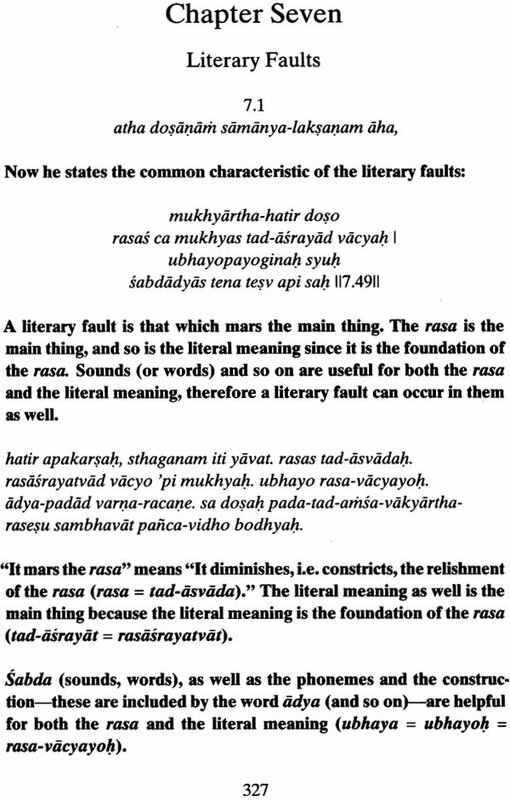 The usage of worlds in Vedic texts is reflected in the theory of Sanskrit Poetics, because kalidasa and other writers of masterpieces took inspiration from Ramayana, Mahabharata and the puranas and because Dandi and other poetical rhetoricians classified the literary devices used by those renowned poets. 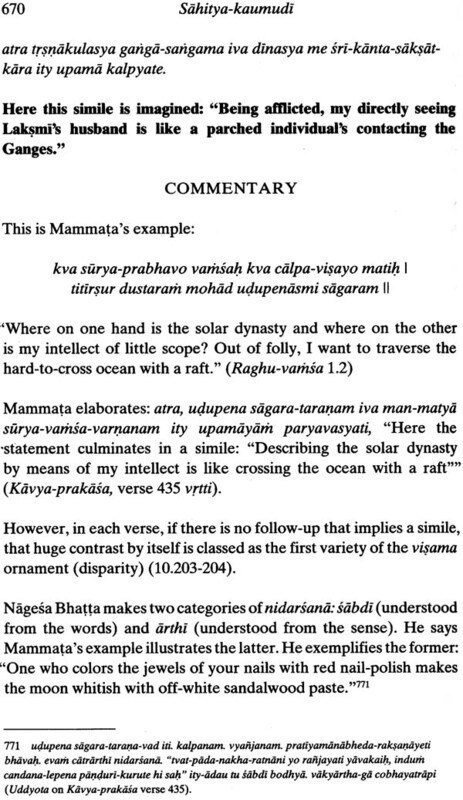 Another foundation of Sanskrit poetics is Natya-sastra. There are two broad varieties of poetry: poetry based on the concept that the ego is the self, and poetry based on the notion that the soul is the self. 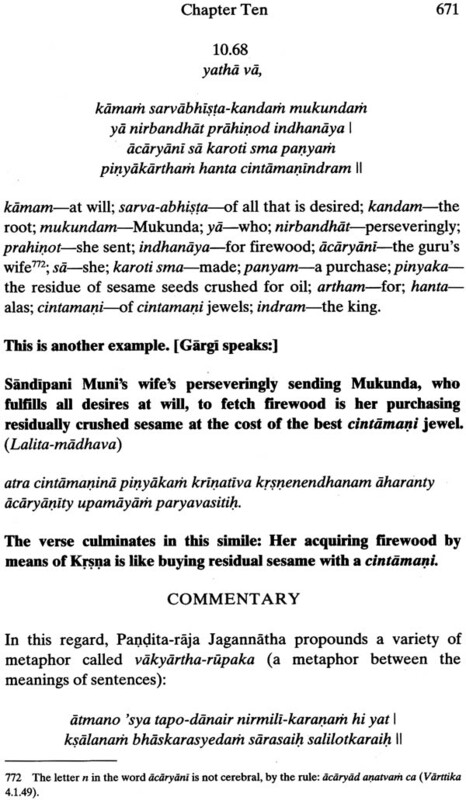 Sahitya-kaumudi treats of both varieties: Although devotional poetry is prevalent in this treatise, Baladeva Vidyabhusna selected some verses from kavya-prakasa and from sahitya-darpana to nicely illustrate the theory. Devotional poetry, bhakti-kavya, is the highest type of poetry because it is founded upon the transcendent reality: The soul is real and the Lord is real. Bhakti is the path of the heart. 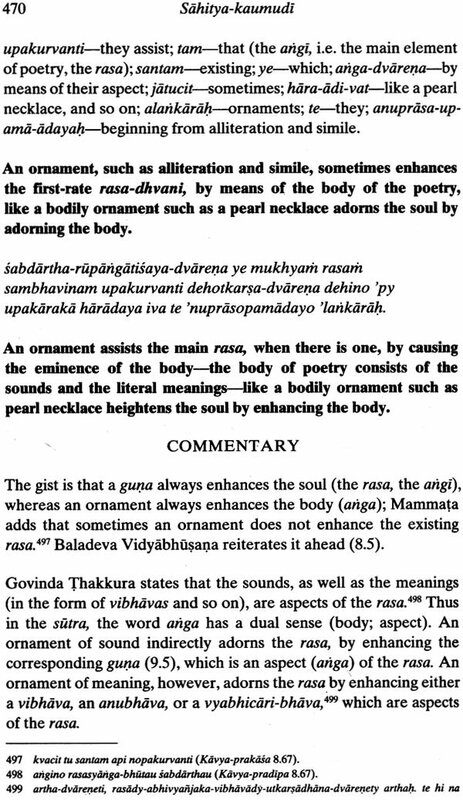 Learning the poetical theory sheds light on the subtleties in Bhagavatam. Thus devotional poetry is founded upon the philosophy in Vedic scriptures. 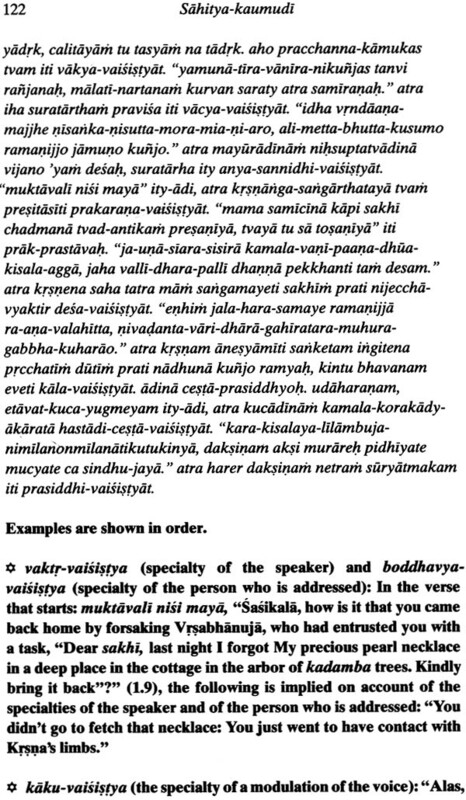 Vaisnavas follow the scriptures, whereas Sankaracarya rejects Vedanta-sutra. Vyasadeva implies that the soul is real: karta sastrathavattvat, "The soul is a doer, because the scriptures have a purpose" (Vadanta-sutra 2.3.31). 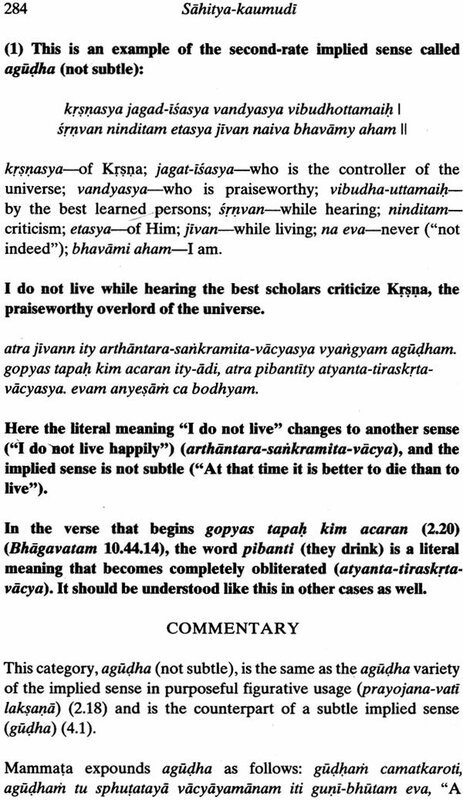 Sankaracarya says Vyasa is mistaken. In his commentary on: yatha ca taksobhayatah, "[The soul is a doer] in two ways, like a carpenter (by volition and through instruments: transcendental senses)" (Vedanta-sutra 2.3.38), Sankaracarya writes: yat tuktam sastrarthavattvadibhir hetubhih svabhavikam atmanah kartrtvam iti tan na, "It was stated with several reasons, beginning from sastrarthavattvat (Vedanta-sutra 2.3.31), that the doership of the soul is inherent: That is wrong (sariraka-bhasya 2.3.38). 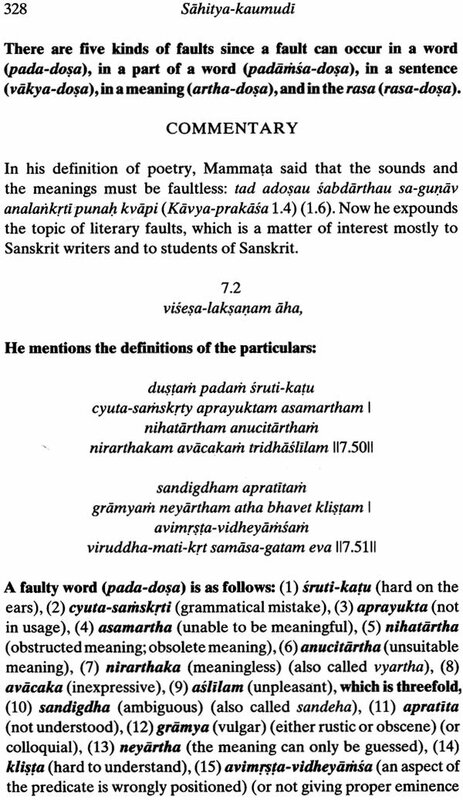 To give one glaring example, the sutra 'amso nana-vyapadesat' (Vedanta-sutra II.3.43) is explained by Sankaracarya as amsa iva, while several other commentators tale the sutra as it is without adding any word and criticize Sankaracarya for the result of his taking such liberties in order to make the meaning of the sutra square with his philosophy of the Absolute. Sankaracarya's followers find no problem with this denial of Vyasa's authority: They argue that Siva is superior to Vyasa. Or else they say that Badarayana is not Vyasa. 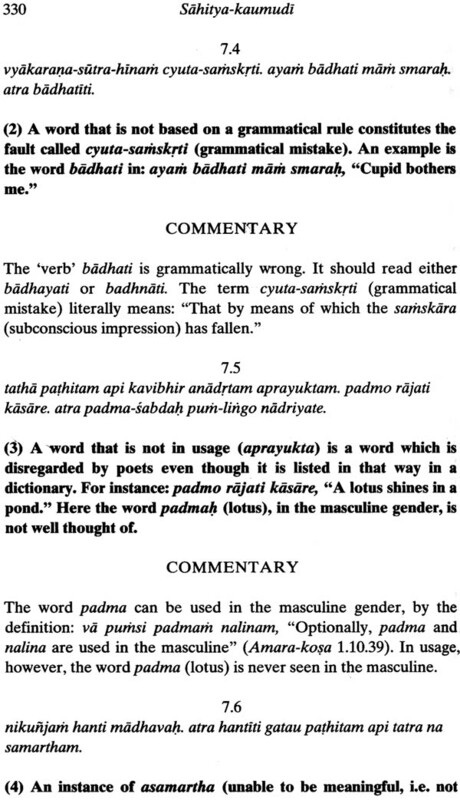 However, the Bhagavatam says Vyasa is called Badarayana. 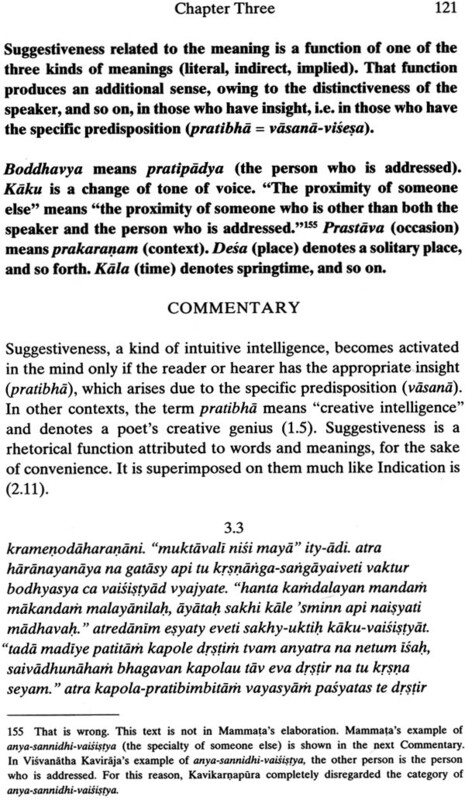 Moreover, the ideas in Vedanta-sutra are not Vyasa's invention: They are sourced in the sourced in the scriptures. 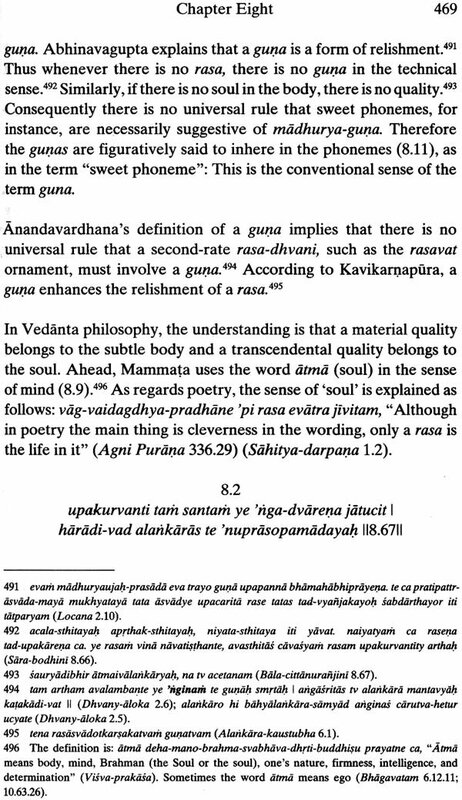 Vedanta-sutra is both a summary of and an explanation of the Upanisads. Vyasa's statement is confirmed therein: vijnanam yajnam tanute. Karmani tanute' pi ca. Vijnanam devah sarve, brahma jyestham upasate. Vijnanam brahma ced veda, tasmac cen na pramadyati. tasyaiva esa sarira atma. 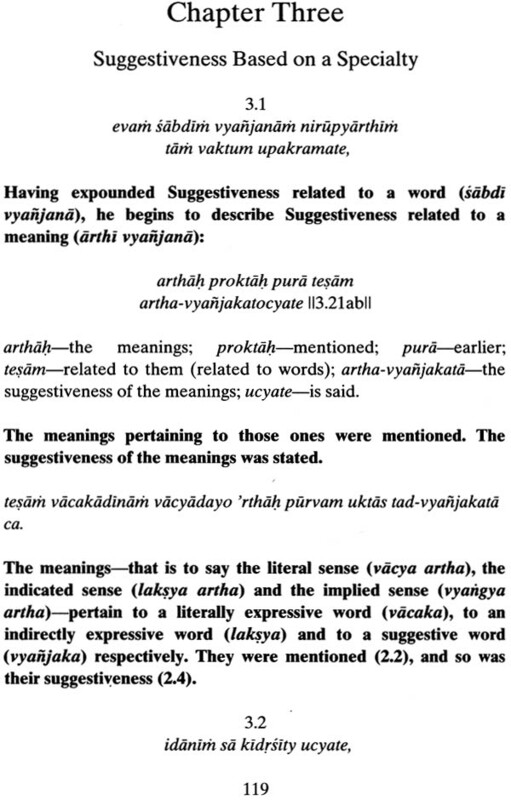 yah purvasya, tasmad va etasmad vijnana-mayat, anyo' ntara atmananda-mayah. tenaisa purnah, "Vijnana (consciousness) (a soul) does a sacrifice and executes the rites as well. All the demigods worship vijnana Brahman, the eldest. If one knows that vijnana is Brahman, and if one dose not deviate from that, then he casts off the sinful reactions in the body and fulfils all his desires. This body of vijnana is the soul of the manomaya-kosa (the mental functions). The ananda-maya (paramatma) is the inner soul of the vijnana-maya (the soul)" (Taittriya Upanisad 2.5). 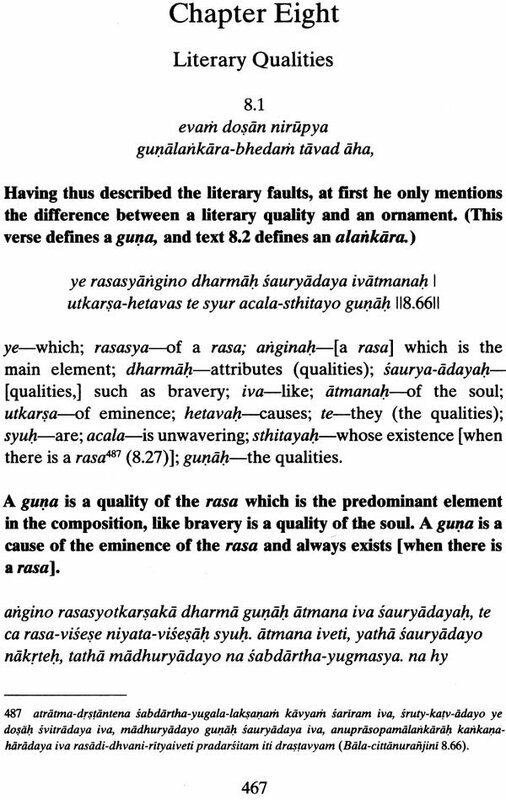 Vyasa explains: ananda-mayo' bhyasat, "The ananda-maya [is Paramatma,] because of a repetition" (Vedanta-sutra 1.1.12) The ananda-maya is Paramatma, and not the soul, is vijnana-maya, since vijnana had just been described as Brahman (transcendental): A soul is a minute spark of Brahman. The repetition referred to in the sutra is the fact that the term ananda (bliss) is used: That is repetitive because ananda is also an aspect of the soul, since the concept of vijnana includes the notion of ananda. Brahman is the one essence of consciousness and bliss: vijnanam anandam brahma (Brhad-aranyaka Upanisad 3.9.28.7). Commenting on Laghu-bhagavatamrta, Baladeva Vidyabhusana writes: cid-rupo ya anandah, "Bliss is the form of consciousness (Saranga-rangada 1.1.3). He describes the soul as follows: cit-sukhaika' puruso' nadi-karma-vasanaya prakrti-sthah, "Although a soul is the one essence of consciousness and bliss, a soul is in the material world because of beginningless karma and subconscious of a material nature" (Gita-bhusana 13.21). In regard to Vedanta-sutra 2.3.38, mentioned above, Visvanatha Cakravarti says the senses of a devotee's spiritual body are transcendental. 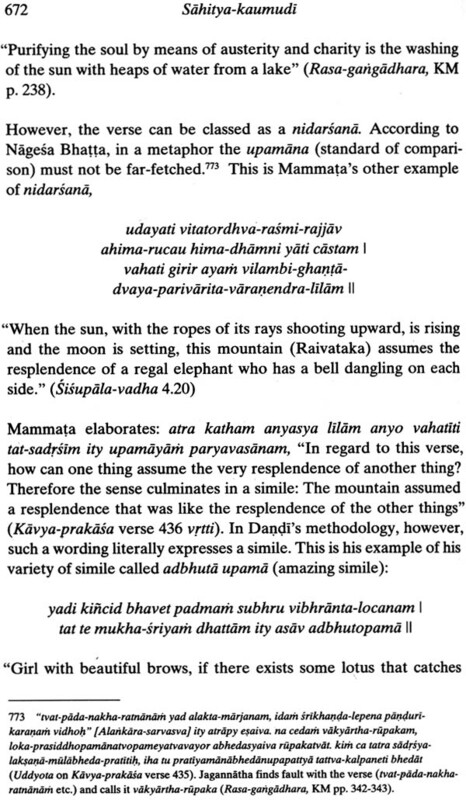 This is the sum and substance of the sutra: viharopadesat (Vedanta-sutra 2.3.32). 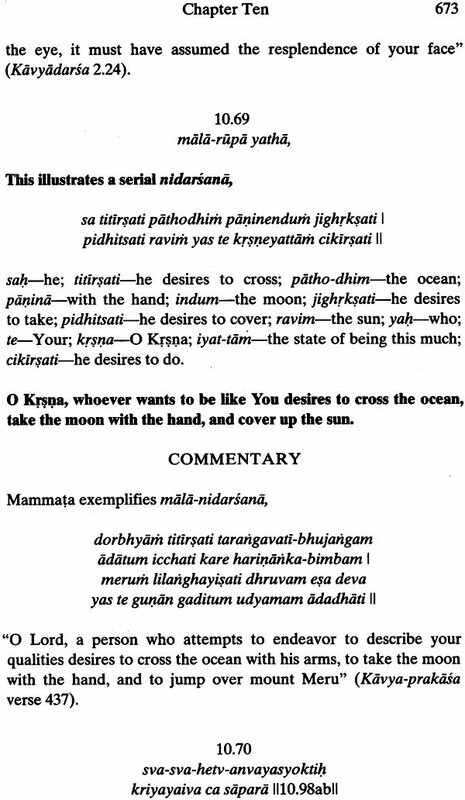 In that regard, Baladeva Vidyabhusana cites this passage: evam evaisa samprasado' smac charirat samutthaya param jyotir upasampadya svena rupenabhinispadyate sa uttamah purusah. Sa tatra paryeti jaksat kridam ramamanah stribhir va yanair va jnatibhir va nopajanam smarann idam sariram. Sa yatha prayogya acarane yukta evam evayam asmin sarire prano yuktah, "In the same way, he being very serene, departs from this body, reaches the supreme /light and becomes established in his own form; he is the topmost soul. He travels there-while laughing and playing and taking pleasure-either with women, vehicles or kinsmen (other liberated souls), but he does not remember this body born from the contact of man and woman. Thus the soul is the life force yoked to this material body, like a horse or an ox is yoked to a cart" (Chandogya Upanisad 8.12.3) (Govinda-bhasya 2.3.32). In addition, the Upanisads say the soul is a doer in a dream.